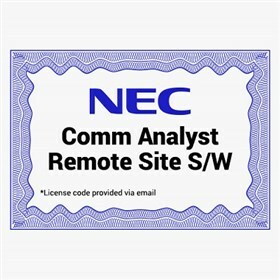 The NEC 1101114 is a comm analyst remote site software. This will connect via the customer’s network to the communications analyst server at the main location. The sofware buffers local SMDR data during network downtime. It Connects to a telephone system that only provides a serial SMDR connection instead of IP. The NEC 1101114 has many exciting features for users of all types. The NEC 1101114 is sold as a Brand New Unopened Item.